After you recognize the two most physical and assumable goals in martial arts—power and speed—there is a next level to explore—impact and timing. Timing makes sure things arrive when they should; impact helps determine how much of that power is beneficially transferred. Timing escapes some practitioners. I’ve known a few who are surprisingly advanced in martial training but have little sense of less definable skills including tactics, deception, flanking and of course timing and impact. The problem is that some practitioners see such martial strategies as akin to getting an “A” on an essay, or a more powerful kick—achievable only because , worked hard. In reality the rewards of timing require attention as well as repetition. The result is often amazingly fine and never just mechanical. Timing fosters give-and-take situations requiring balance. For instance a student who decides to raise his speed abilities might do so at the expense of good form that, in turn, breaks up his timing and cancels pretty much all the benefits sought from speed. A great example of this comes when teaching teen-aged students. With their newly discovered speed they are unstoppable, literally. I have had the experience hundreds of times while teaching students who have one and only one type of timing: “faster.” And I’ll tell you, it’s pretty hard to correct anything with that toolkit. Timing proves to be predominantly an instinct—or a lack thereof. I am going to suggest an approach that can help to increase the rate of acceleration by pushing your speed/timing conjunction to a higher level. Try this: start by moving your hands in any direction or shape, at any speed. The idea is to move constantly, randomizing your motions, and avoid making actions into events. Then, without telegraphing, in any way, you manifest a punch that seems to come from nowhere. 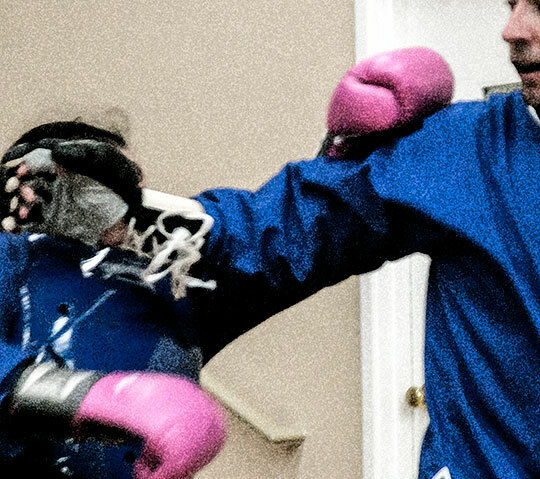 When constant motion is achieved, your actions easily transition to specific strikes. At this point you will find that your punches will “slip through” most guards. This routine creates the concrete from the insubstantial, and develops a powerful method of controlling the timing between you and your partner. But let’s look at it again. I start to move my hands, picking no specific pattern of movement. I set up a “cloud” of movement. Now an interesting thing happens. I keep increasing the speed as much as I can, and I find there is a “shift” in my perception. 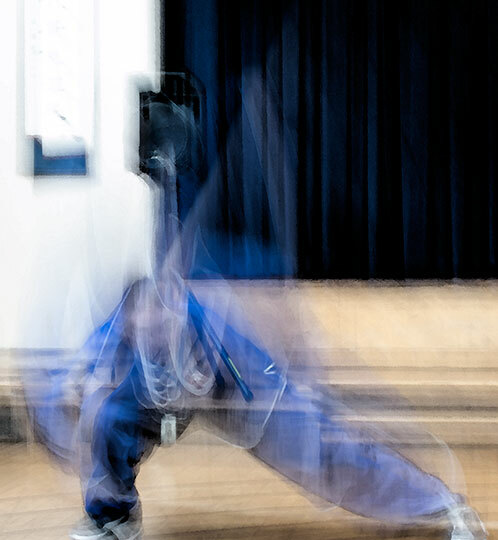 No longer is my brain struggling to “see” my hands moving, but the blurry, super-fast actions jump to a new level where I feel unconnected to them, as though I were watching someone else’s hands, as though I could let my body go on increasing my speed while simultaneously distancing my mind. It’s this distanced state that allows you to actually see the right time, the propitious moment to enter; in other words to call up perfect timing despite starting in near-chaos. Even in the most classical context—say, when practicing a form—there should be some indication that timing, not just speed, is here isolated and refined. 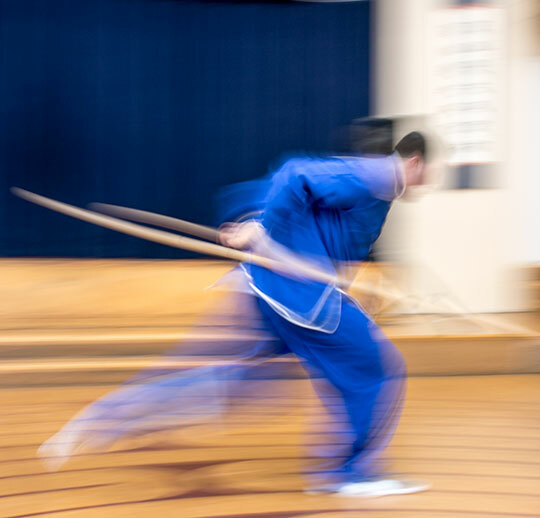 The “freeze frame” effect so common in many traditional Chinese forms, should be a moment of spirited control, showing that the human body which was speeding through its paces only moment ago, is now at rest like a cat before a mouse hole. Like “accuracy,” timing can be a chore as much as a thrill. Timing is not just a thing or even an event. It is a relationship between you and your partner, opponent, audience. The idea is not just to be fast, or strong but to control the delivery of that speed and power down to the fragment of a moment. And this ability is totally inside you, interlaced with your perceptions and consciousness. Posted January 19, 2019 by Ted Mancuso. Comments and trackbacks are open. Follow the comments feed. 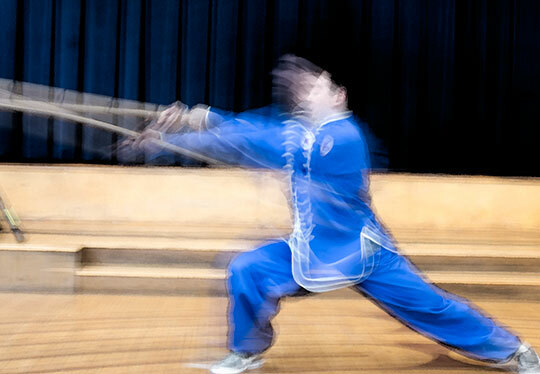 Tagged with: Gung Fu, kung fu, martial arts, Shaolin, tactic, tai chi, Taijiquan, timing, Wushu.